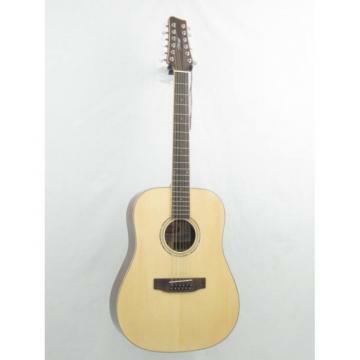 This guitar is a brand new, factory fresh James Neligan model NA72-12. It is built with a solid class-A Spruce top, and rosewood back and sides. Not only are we selling this guitar with a great low price, but we are also offering FREE UPS Ground shipping anywhere in the contiguous U.S.! Top: Solid Class-A SpruceBack & Sides: RosewoodNeck: MahoganyFingerboard: RosewoodBridge: RosewoodNeck & Body Binding: MapleHeadstock Veneer: RosewoodSoundhole: Abalone + Rosewood inlayBackstrip: MapleMachine Heads: Diecast nickel w/ white pearloid buttonPickguard: tortoiseshellFinish: natural highglossStrings: D'Addario.